Not since Steve Bull more than 20 years ago has there been more hype surrounding an English footballer not playing in a domestic top flight than there is about Wilfried Zaha. England manager Roy Hodgson sparked Zaha mania by selecting the Crystal Palace forward in the national team’s squad for its friendly versus Sweden in Stockholm. 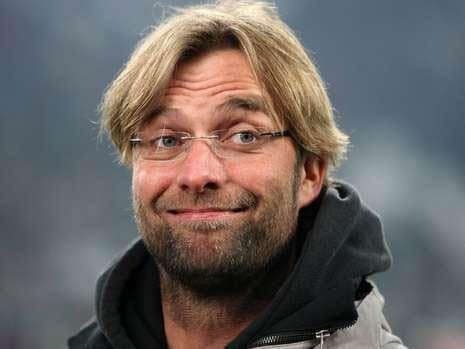 Bookmakers reacted by framing a range of Zaha markets, enabling punters to bet for which side he will play following January’s transfer window closes, whether he will turn out for the Eagles in the English Premier League next season and whether he will make England’s FIFA World Cup roster two years from now. 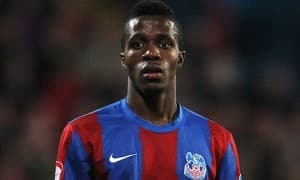 English media are linking Zaha with the likes of Arsenal and Real Madrid, with Arsene Wenger and Jose Mourinho reportedly big fans of the 20-year-old winger who can also play as a striker. Surely, though, the Gunners boss should be more concerned about sourcing some decent central defenders and an out-and-out goal scorer, while it would be difficult to see the youngster breaking into the Meringues line-up. The best bet is one at around 8-11 about Zaha remaining on the books of Crystal Palace after January’s transfer window shuts. There are a number of reasons for thinking this way. First, Arsenal appears to be the English Premier League team with the biggest raps on Zaha but are the Gunners heading in the right direction? They are eighth after 11 rounds and do not seem in a position to challenge Chelsea, Manchester City and Manchester United at the top of the ladder. They may not even qualify for next term’s UEFA Champions League, with most bookmakers listing their top-four odds at 10-11. Second, surely Zaha’s advisers, family and friends would be in his ear advising him against making the massive leap from the English Championship to somewhere such as Real Madrid in the Spanish La Liga at this stage of his promising career. And third, Zaha has strong ties to the Eagles. He has been part of the Selhurst Park club since 2004 when he joined its football academy and he has lived in Thornton Heath, which is in the heartland of Crystal Palace support, since he and his family left the troubled Cote d’Ivoire in the mid 1990s. There is a very good chance that Zaha will stick with the Eagles for the remainder of this season because not only does Crystal Palace have a special place in his heart but also the Selhurst Park side is not in any rush to sell. Consequently, snap up the 8-11 available from Stan James that Zaha does not leave south-east London during January’s transfer window. However, do not take the 8-1 available from Ladbrokes about Zaha playing for the Eagles in the English Premier League next season. With the Magic Sign offering 2-1 about Crystal Palace being promoted, effectively one would be taking 2-1 about Zaha not leaving during the summer if the Eagles went up. That feels well under the true odds. There are some big differences of opinion regarding Zaha’s chance of making England’s FIFA World Cup squad for the 2014 tournament in Brazil. For example, William Hill is betting 7-4, whereas Ladbrokes is trading at 5-1. The Magic Sign is probably closer to the mark, if only because Zaha is not a certainty to commit himself to his country of residency. Zaha is on the record as saying that he is torn between the country of his birth and England, something that has got under the skin of Hodgson. It may not become clear for a few months as to which way Zaha will jump so stick with betting on his club future rather than his international one.